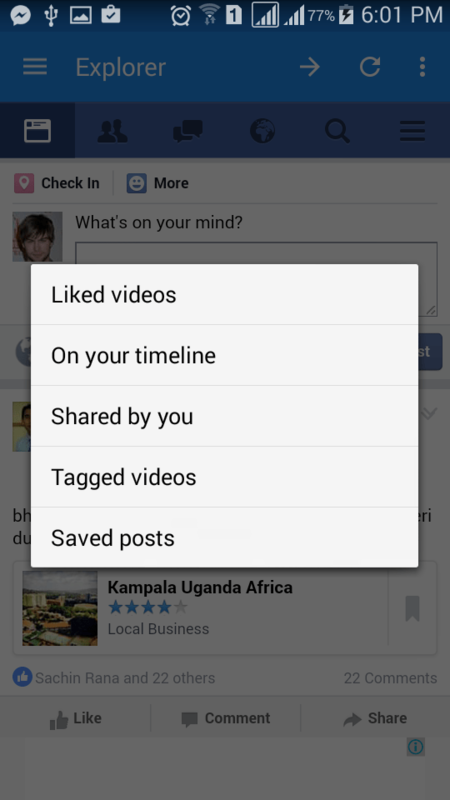 Since Facebook has released feature of video sharing, from that time sharing of videos on Facebook growing rapidly. In September 2014 Facebook announced, that it delivers 1 billion video view per day. And you know what? 65% of Facebook video views are coming from mobile devices. As you can see tons of videos are sharing on Facebook groups, pages etc. every day, and all the users enjoy these videos and also they want to save them in their phones to watch them later. But unfortunately, most of the users don’t know how to Download Facebook Videos on Android. So we are writing this article to tell the users how they can download their favorite videos easily from Facebook on Android. So let’s have a look on the deep explanation of the trick. Here we will introduce you a cool application for Android smartphones, which you can use easily to download favorite videos from Facebook directly on your android phone. We will use My Video Downloader for Facebook application in this tutorial. Follow the steps given below to learn how to download Facebook videos on Android. But before showing you the trick, let’s have a look at the description and features of the application we gonna use. My video downloader for Facebook is an awesome application for downloading your favorite videos directly on your android phone. It gives you the many features for downloading different videos, and also you can browse video directly on the Facebook website and download them in your phone easily. Now let’s talk about the features of the application. The only application on play store that can play and download HD videos. Download your liked, tagged or shared videos. Download videos from the news feed, pages, and groups. Directly share any video without downloading it to your phone. Download shared videos of your friends. Find and Download a video by browsing directly the Facebook website..
First of all download My Video Downloader for Facebook application from google play. 3. 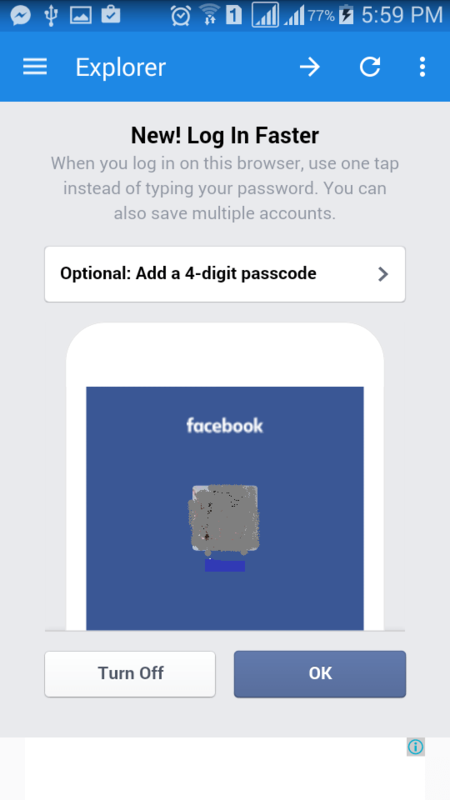 Now when you logged in to your Facebook account via an application, you will see the option for adding a 4 digit passcode ( You can create a passcode for login to Facebook via the app without entering your password every time). 4. If you don’t want to add a passcode click on Turn off, and now you will see your id in explorer. 6. Click on my videos tab, and here you will see all the videos you have liked, shared, tagged, saved, or videos available on your timeline. 7. Here you can see your all videos distributed in categories, click on any of them to download the video. 8. If you want to download your liked video then click on “Liked video” and here you will all the videos you have liked. 10. Click on play if you want to play the video or click download to download Facebook videos to your android phone. 11. Here you can download multiple videos, and the video will start downloading in the background. You can see your video status in the downloads tab. 12. So that is how you can easily download Facebook videos on Android. By using this application you can download as many videos as you want with high speed, this application provides you almost all Facebook features. 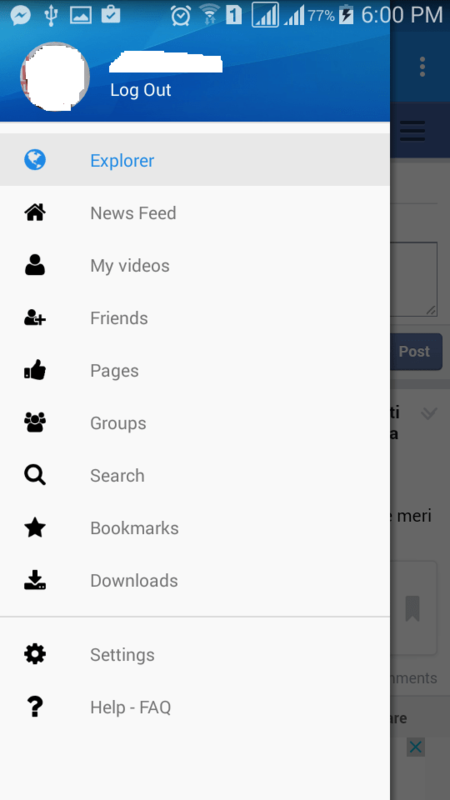 Using the application you can surf Facebook in the application and download any video you want. If you like this article then don’t forget to share it with your friends, and tell them how they can easily surf Facebook and download Facebook videos in their Android smartphone. Stay connected with us for more cool tricks, like us on Facebook and get regular updates in Facebook news feeds.